Nice cover art. One of the better offerings from Drake in recent years, mixed in with some “Juicy” rhyming from Notorious B.I.G. This DJ Rasta Root re-fix is good work. 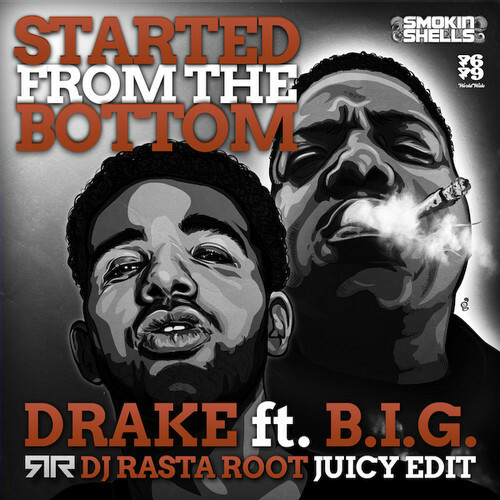 Check out his Juicy Dirty Edit of Drake’s “Started From The Bottom” and get a FREE download right f–kin here.